Lavendon is a village in Buckinghamshire, near Olney. 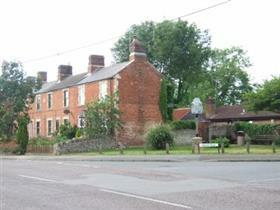 It has a primary school, a shop and Post Office, village hall and the Green Man and The Horseshoe pubs. In the Domesday Book its name was recorded as Lavendene, Lavendon was once the site of a castle a moat and groundworks are still in the grounds of Castle Manor. A plaque in the village records it as being on the route of the 1936 Jarrow March..look in the churchyard of the parish church of St Michael.